I have a *mild* obsession with pretty pouches, boxes, eco bags, and paper bags. I'd say it's mild because I don't actively seek them out; it's just that, when I get them, I find it impossible to part with them. If you go to my place you'll see paper bags and a vast assortment of pouches and small bags I can never seem to let go of. 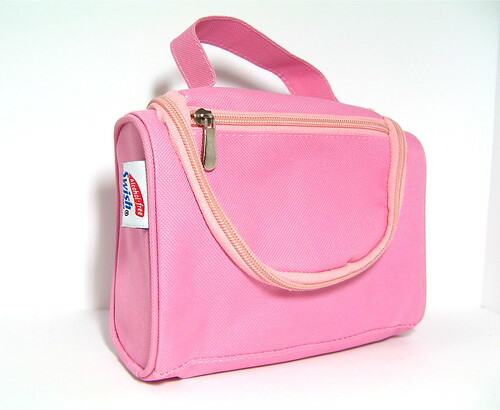 Winning points: it's pink, it's boxy (neat for storing stuff you don't want to get squished), and it opens at the front. 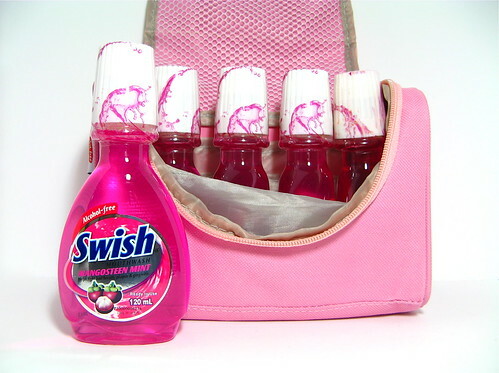 The Swish mouthwash inside - which is by the way VERY tasty - is just a bonus. Or it should be the other way around no? Ahh, another one for the nonexistent books.